I have been enjoying some great upcoming books and, though they're not due out for a little while, I want to make sure that you have them on your radar. 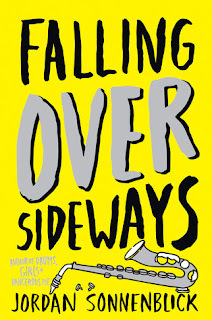 Falling Over Sideways by Jordan Sonnenblick (Grades 5-9.) Scholastic, September 27, 2016. This is classic Sonnenblick! You know when Truvy says that laughter through tears is her favorite emotion? This book has it in spades. It's both heartbreaking and hilarious. Claire is having a rough eighth grade year. Her best dancing friends have gotten moved up to a higher level class she's not ready for. She keeps getting picked on by her nemesis, the first-chair saxophone player in band. And then something happens that blows all that stuff away. Claire's dad has a stroke. She's the one to call 911, to save his life, but it doesn't feel like a big accomplishment since his life is not at all what it used to be. He can't really talk, has trouble feeding himself, and no one knows if he'll really get better. 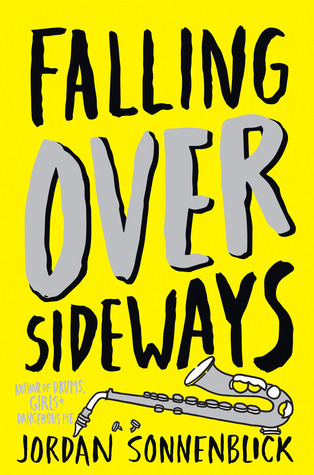 For all readers who have read and loved Sonnenblick's Notes from the Midnight Driver or Drums, Girls, and Dangerous Pie, do not miss this book. Some Writer! : The Story of E.B. 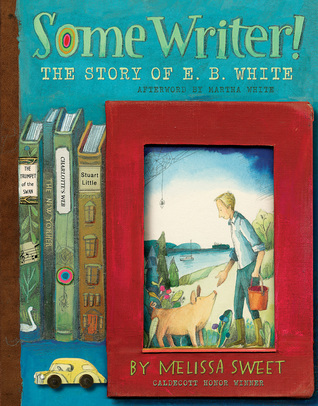 White by Melissa Sweet (Grades 4 and up). Houghton Mifflin Harcourt, October 4, 2016. I am a huge fan of Melissa Sweet's work and this is my favorite book she's done, which is SAYING SOMETHING. Her whimsical, colorful art pairs naturally with the story of E.B. White's life, a life steeped in literature and thought and nature. This book is a gorgeous masterpiece perfect for the Reader in your life. 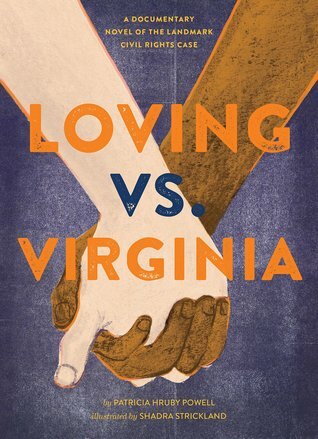 Loving Vs. Virginia: A Documentary Novel of the Landmark Civil Rights Case by Patricia Hruby Powell (Grades 6 & up). Chronicle Books, January 2017. At its heart, this is a love story. It's the story of Millie and Richard, who meet and fall in love, only the laws of their time made it illegal for them to be married, to be a family. This "documentary novel" tells a true story of the landmark civil rights case Loving Vs. Virginia, in which Mildred and Richard Loving fought fiercely for their right to love each other and to legally be a family. Prose poems narrated from alternating points of view (Mildred's and Richard's) delve into what the two must have been feeling. Scaffold this title with Selina Alko and Sean Qualls's beautiful picture book The Case for Loving. 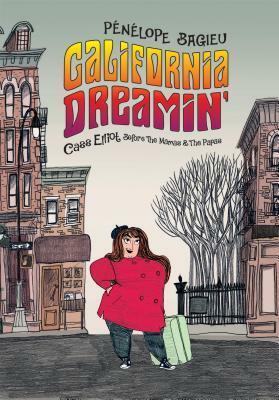 California Dreamin': Cass Elliot Before The Mamas and the Papas by Penelope Bagieu (Grades 9 and up). First Second, March 2017.